Just a few years ago, Californians for Justice helped end a 10 year effort to bring equitable funding to our schools. 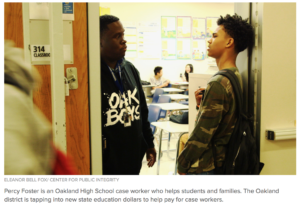 As organizations, teachers, students, and districts work to figure out how to use that funding to move all students towards success, a few have found that centering relationships in classrooms and schools can equal success in many areas. CFJ staff member Geordee Corpuz shares her view in the Huffington Post’s piece on what equity looks like and could look like in California schools.